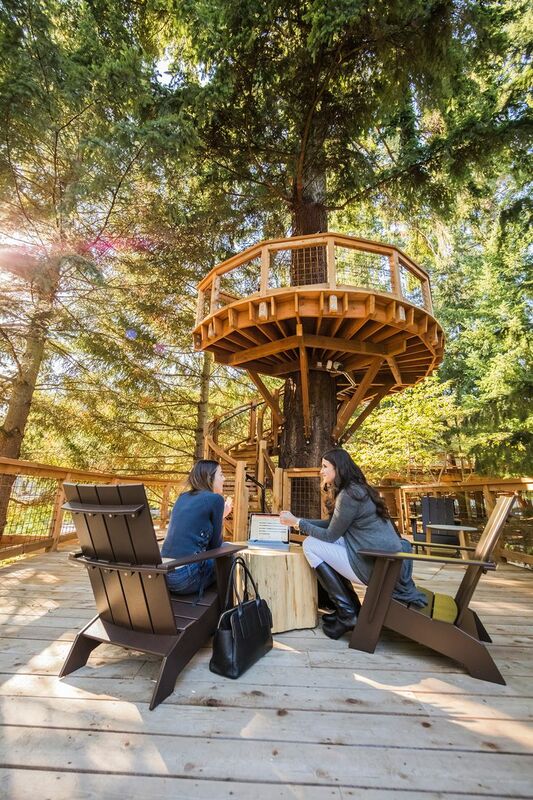 Fueling this trend is growing awareness of the health and wellness benefits from contact with nature, a concept known as biophilia. 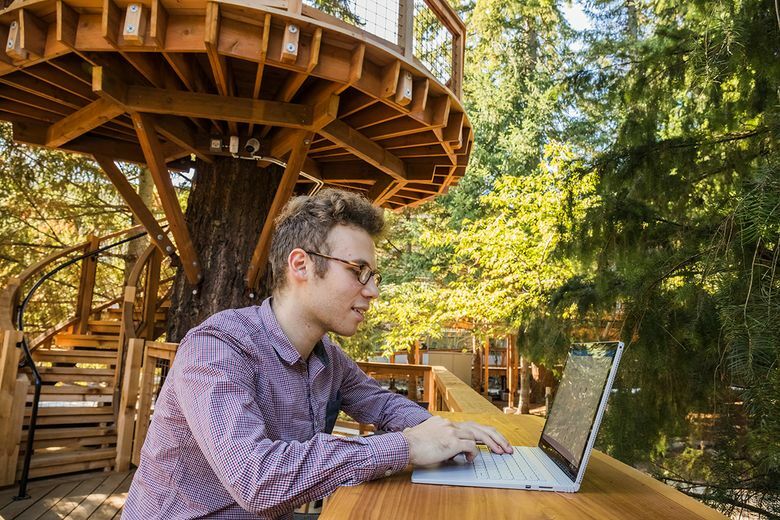 Case in point: Microsoft built cool treehouses on its Redmond campus. 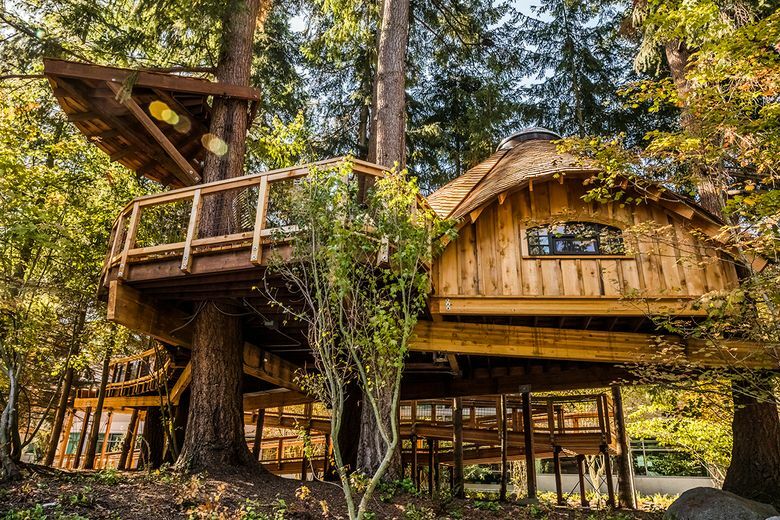 Microsoft built treehouses in Redmond. Amazon has its spheres in Seattle. Facebook has a 9-acre park, with meandering paths for walking meetings, atop its flagship building in Menlo Park, California. Companies that hire SWA want to know what the competition is doing, in part because they are all angling for the same workforce, said Gerdo P. Aquino, the firm’s chief executive. “Employees respond to additional places to touch down,” said John Mooz, a senior managing director for the developer Hines who oversees projects in Houston and Austin, Texas. Hines’ 609 Main, a 48-story office tower in downtown Houston, has landscaped outdoor space off the 12th floor, atop a podium that rises from the base of the tower. The podium houses stores and indoor parking, but instead of putting an outdoor parking lot on the roof, as is common in this business district, the developer hired OJB Landscape Architecture to add trees, trellises and pergolas. The space has become a desirable asset for a lower-floor office that might otherwise have been a hard sell because it did not offer superior views, Mooz said. A survey commissioned by L.L. Bean found that 86 percent of indoor workers would like to spend more time outdoors during the workday. The retailer, based in Freeport, Maine, teamed up with the coworking firm Industrious to create a pop-up outdoor office with individual and group work areas — and then took the show on the road. Started in New York’s Madison Square Park last summer, the “Be an Outsider at Work” demonstration project also traveled to Boston, Philadelphia and Madison, Wisconsin. 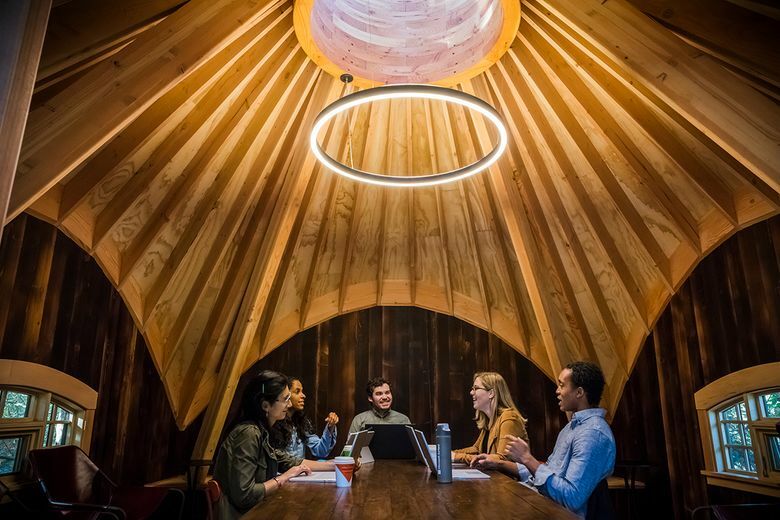 LinkedIn has a workplace design lab at the main campus of its headquarters in Sunnyvale, California, for tinkering with ideas for outfitting its 32 offices around the globe. Shade is essential for outdoor workspaces, the lab has found, in part to prevent glare on phone and laptop screens. 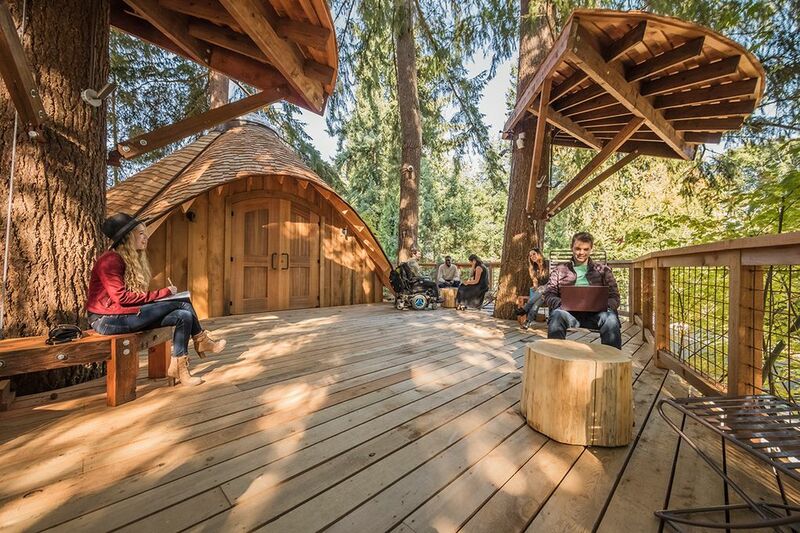 The lab created a mobile meeting room that can be rolled out onto a terrace and is designing an in-place roofed space with desks and indoor-outdoor computer monitors, according to Brett Hautop, LinkedIn’s senior director for global design and build. Of course, it’s one thing to introduce an outdoor workspace at a sprawling, low-rise campus; it’s another to squeeze it into a project in a built-up urban environment where every square foot, if not square inch, matters. And some parts of the country have to contend with inclement weather. But according to Amrich of CBRE, a landlord can charge 10 to 15 percent more for a Manhattan office space with an outdoor area.